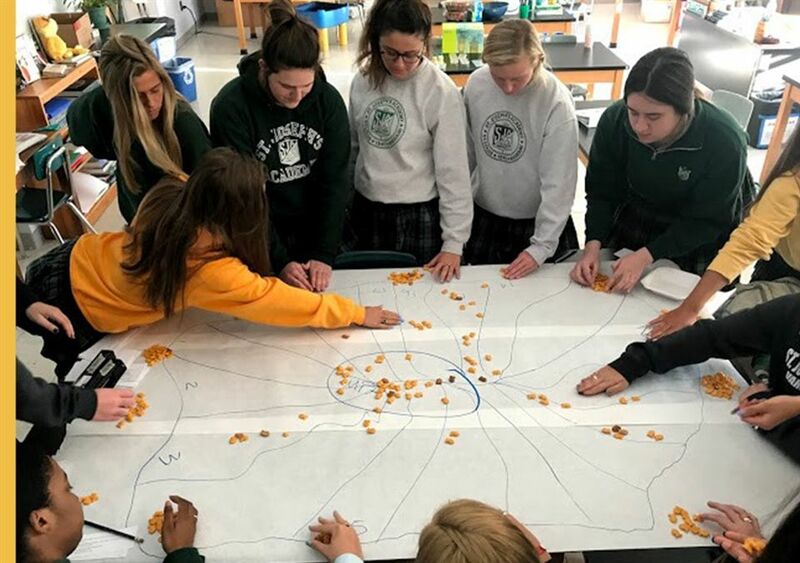 “Zoology” students, shown at right, carried out a population simulation to determine which strategies would best remedy the effects of overfishing. 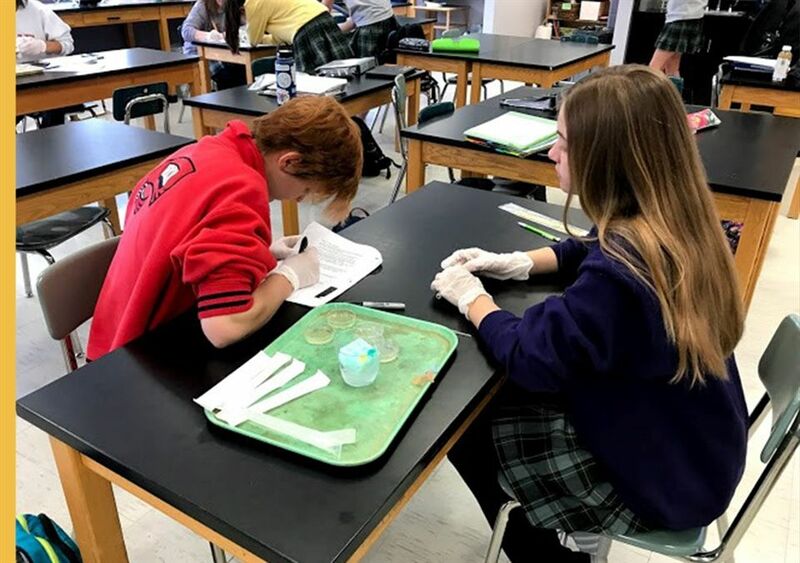 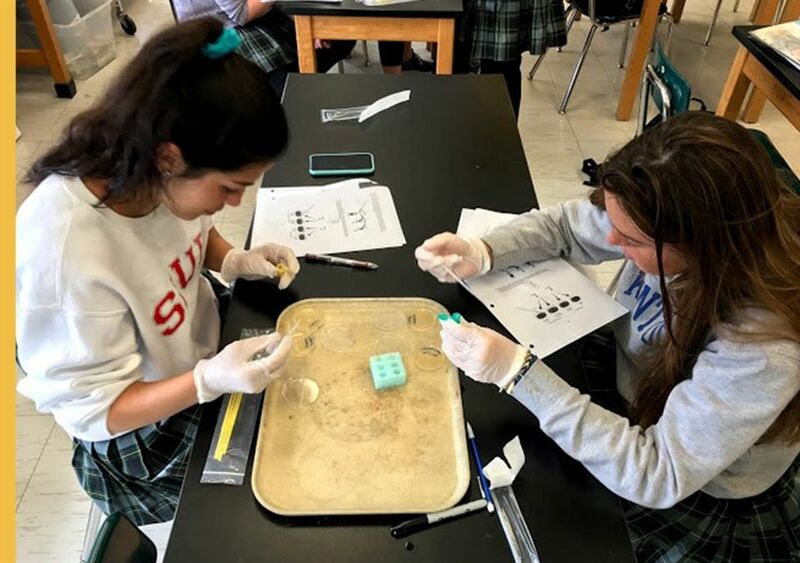 “Honors Biology” students isolated the DNA of strawberries during their genetics unit. 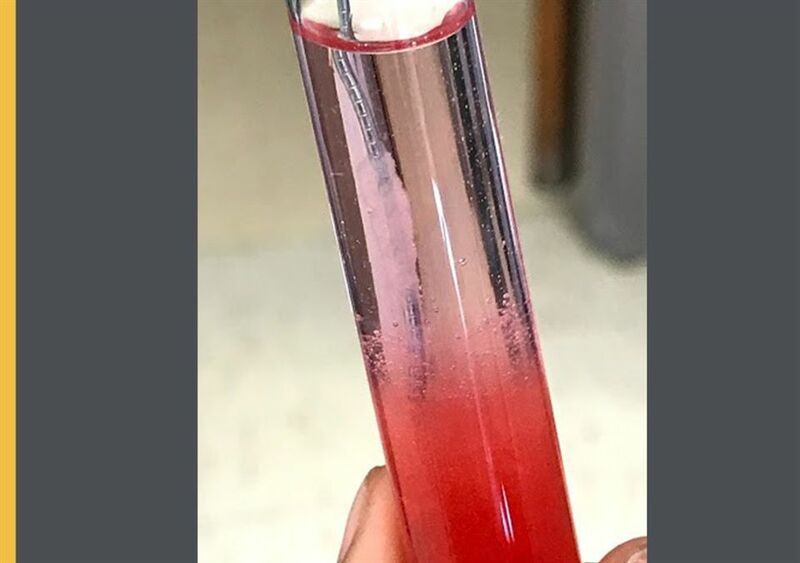 The gelatinous mass forming in the red tube contains the DNA. 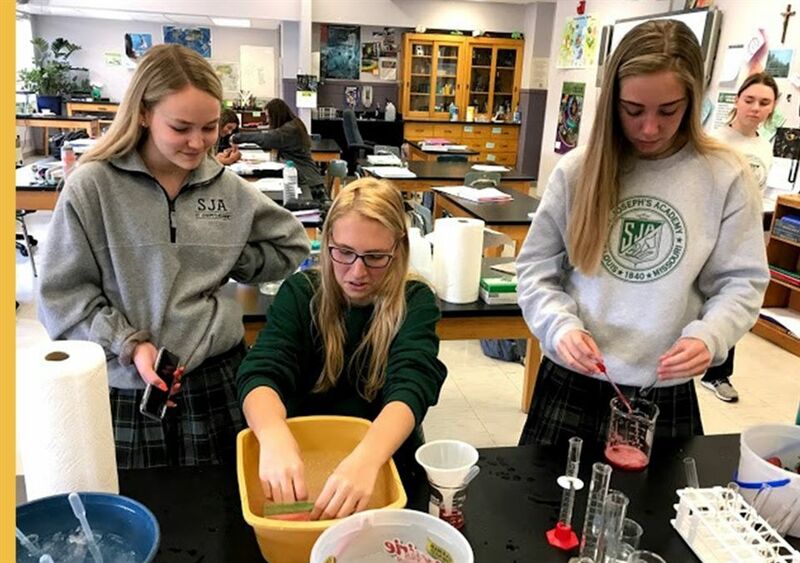 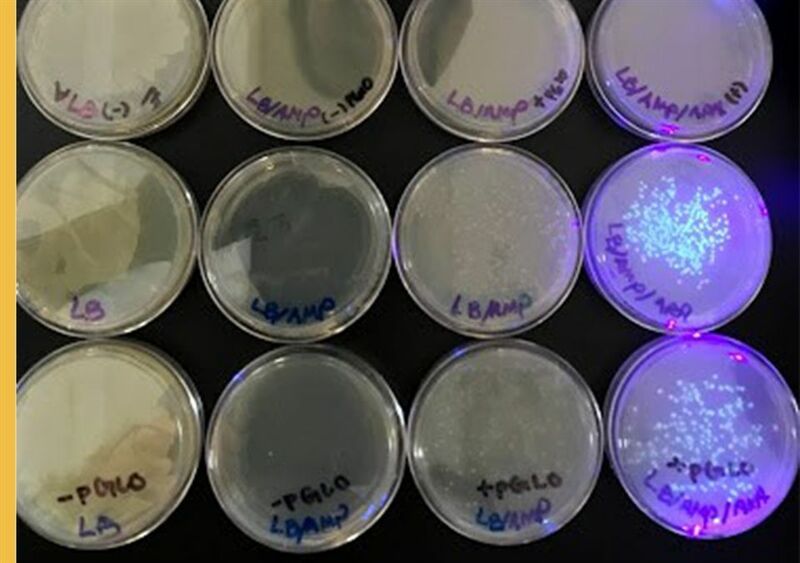 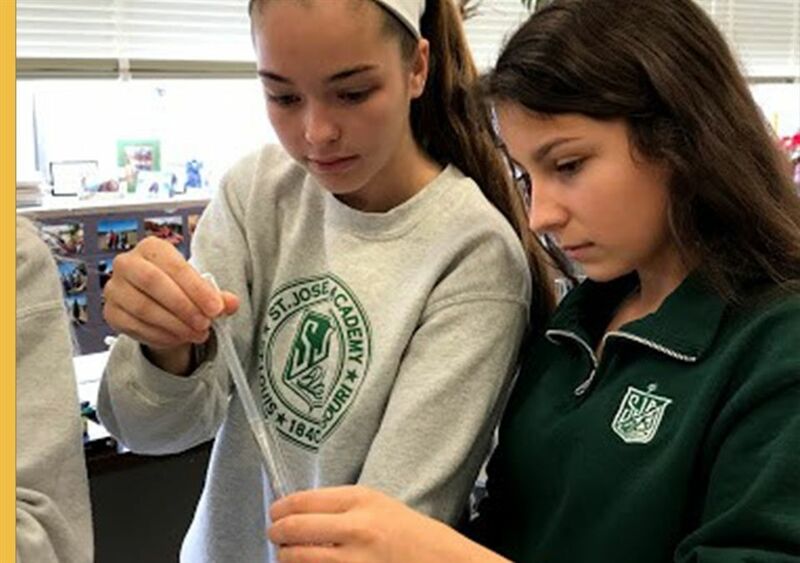 “AP/ACP Biology” students are shown transferring the gene for green fluorescent protein from jellyfish to bacteria, which will enable the bacteria to fluoresce under certain types of light.